Cremation filter system and the best cremator filtration available on the market. 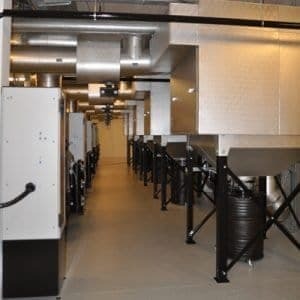 The DFW Europe filtration system is a complete installation in a modular construction, which complies with all European emission requirements. The flexible construction allows for fitting the filter installation into almost any location. 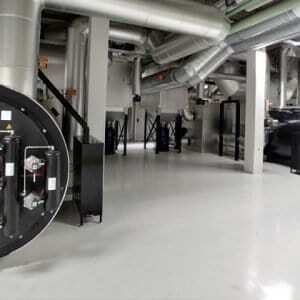 The DFW Europe filtration installation removes 99% of all dust, dioxins, mercury and HCL. Much attention is paid to efficient filtration technology. Also, much concern has been given to energy consumption and hygiene within the technical area of the crematorium. The solution with the fixed-bed activated carbon filter prevents free-flying dust in the technical area. Combined with the DFW Europe Control System optimal results are achieved in terms of filtration and energy consumption. All emission tests were carried out with very good results. Download here the ECN chart comparing atmospheric emissions of crematoria in different European countries.